Are you an accountant or admin who sieves through multiple receipts and reports to validate and approve reimbursements? Expense management is often ignored, thereby, unnecessarily burdening finance teams. Accounting and finance folks often have to take the uncomfortable step of talking to employees who do not submit their expenses or expense reports on time, or ever at all. Or worse, employees who consistently violate policies – like Alice from sales who submits her receipts and expense reports only once a quarter. What’s worse? Her reports are often receipts of varying shapes and sizes, incomplete reports, spending claims that exceed set limits, and the list goes on. This probably happens after dropping Alice and her manager multiple reminders and emails. But, what if we told you Fyle can simplify, streamline and solve all the challenges you face with expense management? There’s no denying the fact that, people want to get work done and use their productive hours wisely, instead of filling in long expense reports for their reimbursement claims. Expense management should be easy. Claiming business spends should be easy, both employees and employers, alike. And, this is precisely what Fyle does for you. The biggest user group incurring expenses regularly in most companies is the sales team. These are the people who are in the front line, bringing in the revenue. They are also the people who have the most pressure in any organization – the burden of meeting monthly quotas. Their day is mostly filled with meeting customers and making calls between meetings. So reporting expenses and filing expense reports would probably be the least of their concerns. Not surprisingly, this is also the group that delays or doesn’t bother to report their expenses. How does Fyle help save time, increase productivity still fyle your expenses on time? So how do we make it simple enough for teams like sales to report expenses without them having to spend considerable time and energy to do it? Introducing a new process and expecting an immediate behavioral change from employees is a sure recipe that spells disaster. But, what if we could incorporate these new process within the existing process? This would help employees ease into the new changes without being overwhelmed by the transition. Do your end users know your organization’s per diem rates for overseas travel? Does Alice from sales know under what circumstances she is allowed to fly business class? Does Patrick from business development know if your organization reimburses for alcohol? If they said yes to even one of the above three questions, they are the exception rather than the norm. They probably know the answer because of oral wisdom passed on from your peers or managers. The harsh truth is that no employee remembers expense policies, not even frequent flyers. Often times, team members who crafted the policies in the first place, may also not be aware of all the policies. This drastically increases the chances of policy violations by employees fyling their expense claims. Most employees may still have no clue about what the policies entail even after fyling for their business expense claims. This causes multiple back-and-forth emails between employees and accounts; the approval manager is a testament to this. 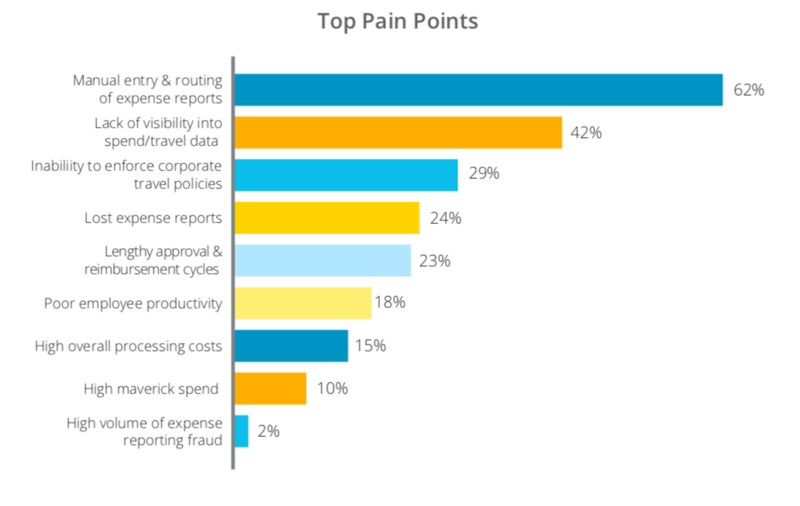 According to a Paystream report commissioned by Fyle, 29% of organizations surveyed said the inability to enforce corporate travel policies was a major travel and expense pain point. How do we ensure every employee who is a potential traveler knows each and every travel policy you have laid out? But what you can do is inform your employees at the time of submitting an expense if it falls outside of the company’s policies. Protip: Did you know that with Fyle, you can now also enforce alcohol based policies? Click here for a free trial. It doesn’t take much time to send a strong email to employees who fail to submit receipts and expense reports. However, it is crucial for Accounts to align with the company culture. The culture of a company is usually restricted to business functions such as sales, marketing, product management. But it often overlooks business support functions like accounting and finance. To maintain a smooth functioning and seamless process, it is crucial for admins and finance folks to work in accordance with the company culture. This also applies when admins and finance teams convey details about fyling expenses, flagging policy violations and more. An effective way of doing so is by setting templates for each of these cases. This will also help in maintaining consistency regarding communication, irrespective of the team members who are voicing the same. Just like any other internal tool or process rolled out to the company, the success or failure of your improved process depends on how well you sell or market it internally. An ideal way of communicating these nuances of expense management is through internal forums and internal newsletters. Another way of understanding the ground reality is by meeting with your heavy users. Try to understand their pain-points and help bring about awareness about the process changes and how that will address their expense management challenges. Do not shy away from taking feedback to make processes employee-friendly. If you are able to identify a small set of heavy users who could serve as early adopters of your new expense management tool or process, it is advisable to let them try the new process before rolling it out to the entire company. What to know more about how 3CX improved their Turn Around Time (TAT) and reduced repeat expense policy violations by implementing Fyle? Click here. Interested in understanding how Fyle can address your expense management challenges? Start your free trial today!